Contact Landers McLarty Huntsville Chrysler today for information on dozens of vehicles like this 2019 Chrysler 300 Touring L. This Chrysler includes: ENGINE: 3.6L V6 24V VVT (STD) V6 Cylinder Engine Gasoline Fuel VALUE PACKAGE Fog Lamps Remote Engine Start Navigation System Universal Garage Door Opener Generic Sun/Moonroof Sun/Moonroof Auxiliary Audio Input MP3 Player Dual Moonroof TRANSMISSION: 8-SPEED AUTOMATIC 850RE (STD) 8-Speed A/T Transmission w/Dual Shift Mode A/T QUICK ORDER PACKAGE 22F Temporary Spare Tire Security System Power Passenger Seat Power Driver Seat Heated Front Seat(s) Passenger Adjustable Lumbar Leather Seats Driver Adjustable Lumbar WHEELS: 20 Temporary Spare Tire Tires - Front Performance Aluminum Wheels Tires - Rear Performance VELVET RED PEARLCOAT *Note - For third party subscriptions or services, please contact the dealer for more information. * This is about the time when you're saying it is too good to be true, and let us be the one's to tell you, it is absolutely true. You could keep looking, but why? You've found the perfect vehicle right here. Just what you've been looking for. With quality in mind, this vehicle is the perfect addition to take home. This Vehicle Does Not Include Tax,Title, And $699 Doc Fee. This outstanding example of a 2019 Chrysler 300 Touring L is offered by Landers McLarty Huntsville Chrysler. This Chrysler includes: OCEAN BLUE METALLIC CLEARCOAT ENGINE: 3.6L V6 24V VVT (STD) V6 Cylinder Engine Gasoline Fuel VALUE PACKAGE Fog Lamps Remote Engine Start Navigation System Universal Garage Door Opener Generic Sun/Moonroof Sun/Moonroof Auxiliary Audio Input MP3 Player Dual Moonroof TRANSMISSION: 8-SPEED AUTOMATIC 850RE (STD) 8-Speed A/T Transmission w/Dual Shift Mode A/T QUICK ORDER PACKAGE 22F Temporary Spare Tire Security System Power Passenger Seat Power Driver Seat Heated Front Seat(s) Passenger Adjustable Lumbar Leather Seats Driver Adjustable Lumbar WHEELS: 20 Temporary Spare Tire Tires - Front Performance Aluminum Wheels Tires - Rear Performance *Note - For third party subscriptions or services, please contact the dealer for more information. * This is about the time when you're saying it is too good to be true, and let us be the one's to tell you, it is absolutely true. Beautiful color combination with Pbm exterior over A6X2 interior making this the one to own! This is the one. Just what you've been looking for. This Vehicle Does Not Include Tax,Title, And $699 Doc Fee. Contact Landers McLarty Huntsville Chrysler today for information on dozens of vehicles like this 2019 Chrysler 300 Touring L. This Chrysler includes: ENGINE: 3.6L V6 24V VVT (STD) V6 Cylinder Engine Gasoline Fuel CERAMIC GREY CLEARCOAT VALUE PACKAGE Fog Lamps Remote Engine Start Navigation System Universal Garage Door Opener Generic Sun/Moonroof Sun/Moonroof Auxiliary Audio Input MP3 Player Dual Moonroof TRANSMISSION: 8-SPEED AUTOMATIC 850RE (STD) 8-Speed A/T Transmission w/Dual Shift Mode A/T QUICK ORDER PACKAGE 22F Temporary Spare Tire Security System Power Passenger Seat Power Driver Seat Heated Front Seat(s) Passenger Adjustable Lumbar Leather Seats Driver Adjustable Lumbar WHEELS: 20 Temporary Spare Tire Tires - Front Performance Aluminum Wheels Tires - Rear Performance *Note - For third party subscriptions or services, please contact the dealer for more information. * The 2019 Chrysler exterior is finished in a breathtaking Pdn, while being complemented by such a gorgeous A6X9 interior. This color combination is stunning and absolutely beautiful! The Chrysler 300 Touring L will provide you with everything you have always wanted in a car -- Quality, Reliability, and Character. You've found the one you've been looking for. Your dream car. This Vehicle Does Not Include Tax,Title, And $699 Doc Fee. Contact Landers McLarty Huntsville Chrysler today for information on dozens of vehicles like this 2019 Chrysler 300 Touring L. This Chrysler includes: ENGINE: 3.6L V6 24V VVT (STD) V6 Cylinder Engine Gasoline Fuel VALUE PACKAGE Fog Lamps Remote Engine Start Navigation System Universal Garage Door Opener Generic Sun/Moonroof Sun/Moonroof Auxiliary Audio Input MP3 Player Dual Moonroof TRANSMISSION: 8-SPEED AUTOMATIC 850RE (STD) 8-Speed A/T Transmission w/Dual Shift Mode A/T QUICK ORDER PACKAGE 22F Temporary Spare Tire Security System Power Passenger Seat Power Driver Seat Heated Front Seat(s) Passenger Adjustable Lumbar Leather Seats Driver Adjustable Lumbar GLOSS BLACK WHEELS: 20 Temporary Spare Tire Tires - Front Performance Aluminum Wheels Tires - Rear Performance *Note - For third party subscriptions or services, please contact the dealer for more information. * The look is unmistakably Chrysler, the smooth contours and cutting-edge technology of this Chrysler 300 Touring L will definitely turn heads. The 2019 Chrysler exterior is finished in a breathtaking Px8, while being complemented by such a gorgeous A6X2 interior. This color combination is stunning and absolutely beautiful! You can finally stop searching... You've found the one you've been looking for. This Vehicle Does Not Include Tax,Title, And $699 Doc Fee. 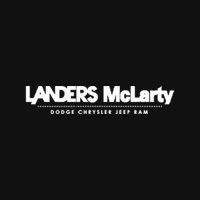 This 2019 Chrysler 300 Touring is offered to you for sale by Landers McLarty Huntsville Chrysler. This Chrysler includes: ENGINE: 3.6L V6 24V VVT (STD) V6 Cylinder Engine Gasoline Fuel VELVET RED PEARLCOAT QUICK ORDER PACKAGE 22E TRANSMISSION: 8-SPEED AUTOMATIC 850RE (STD) 8-Speed A/T Transmission w/Dual Shift Mode A/T SPORT APPEARANCE PACKAGE Temporary Spare Tire Tires - Front Performance Aluminum Wheels Tires - Rear Performance *Note - For third party subscriptions or services, please contact the dealer for more information. * This vehicle won't last long, take it home today. You can finally stop searching... You've found the one you've been looking for. This is about the time when you're saying it is too good to be true, and let us be the one's to tell you, it is absolutely true. This Vehicle Does Not Include Tax,Title, And $699 Doc Fee. This outstanding example of a 2019 Chrysler Pacifica Touring Plus is offered by Landers McLarty Huntsville Chrysler. This Chrysler includes: RADIO: UCONNECT 4C NAV HD Radio Navigation System AM/FM Stereo Satellite Radio Telematics Auxiliary Audio Input MP3 Player TRANSMISSION: 9-SPEED 948TE AUTOMATIC (STD) A/T 9-Speed A/T COLD WEATHER GROUP Heated Steering Wheel Leather Steering Wheel Heated Front Seat(s) ENGINE: 3.6L V6 24V VVT UPG V6 Cylinder Engine Gasoline Fuel INFLATABLE SPARE TIRE KIT Temporary Spare Tire QUICK ORDER PACKAGE 27W ADVANCED SAFETYTEC GROUP Variable Speed Intermittent Wipers Lane Departure Warning Automatic Parking Lane Keeping Assist Intermittent Wipers Rear Parking Aid Back-Up Camera Brake Assist Adaptive Cruise Control Rain Sensing Wipers BILLET SILVER METALLIC CLEARCOAT TIRE & WHEEL GROUP Tires - Front All-Season Aluminum Wheels Tires - Rear All-Season *Note - For third party subscriptions or services, please contact the dealer for more information. * The look is unmistakably Chrysler, the smooth contours and cutting-edge technology of this Chrysler Pacifica Touring Plus will definitely turn heads. This is about the time when you're saying it is too good to be true, and let us be the one's to tell you, it is absolutely true. There is no reason why you shouldn't buy this Chrysler Pacifica Touring Plus. It is incomparable for the price and quality. This Vehicle Does Not Include Tax,Title, And $699 Doc Fee. Contact Landers McLarty Huntsville Chrysler today for information on dozens of vehicles like this 2019 Chrysler Pacifica Touring Plus. This Chrysler includes: RADIO: UCONNECT 4C NAV HD Radio Navigation System AM/FM Stereo Satellite Radio Telematics Auxiliary Audio Input MP3 Player TRANSMISSION: 9-SPEED 948TE AUTOMATIC (STD) A/T 9-Speed A/T COLD WEATHER GROUP Heated Steering Wheel Leather Steering Wheel Heated Front Seat(s) ENGINE: 3.6L V6 24V VVT UPG V6 Cylinder Engine Gasoline Fuel INFLATABLE SPARE TIRE KIT Temporary Spare Tire QUICK ORDER PACKAGE 27W ADVANCED SAFETYTEC GROUP Variable Speed Intermittent Wipers Lane Departure Warning Automatic Parking Lane Keeping Assist Intermittent Wipers Rear Parking Aid Back-Up Camera Brake Assist Adaptive Cruise Control Rain Sensing Wipers JAZZ BLUE PEARLCOAT TIRE & WHEEL GROUP Tires - Front All-Season Aluminum Wheels Tires - Rear All-Season *Note - For third party subscriptions or services, please contact the dealer for more information. * You could keep looking, but why? You've found the perfect vehicle right here. This is about the time when you're saying it is too good to be true, and let us be the one's to tell you, it is absolutely true. Just what you've been looking for. With quality in mind, this vehicle is the perfect addition to take home. This Vehicle Does Not Include Tax,Title, And $699 Doc Fee. Landers McLarty Huntsville Chrysler is excited to offer this 2019 Chrysler Pacifica. This Chrysler includes: RADIO: UCONNECT 4C NAV HD Radio Navigation System AM/FM Stereo Satellite Radio Telematics Auxiliary Audio Input MP3 Player TRANSMISSION: 9-SPEED 948TE AUTOMATIC (STD) A/T 9-Speed A/T COLD WEATHER GROUP Heated Steering Wheel Leather Steering Wheel Heated Front Seat(s) ENGINE: 3.6L V6 24V VVT UPG V6 Cylinder Engine Gasoline Fuel INFLATABLE SPARE TIRE KIT Temporary Spare Tire QUICK ORDER PACKAGE 27W ADVANCED SAFETYTEC GROUP Variable Speed Intermittent Wipers Lane Departure Warning Automatic Parking Lane Keeping Assist Intermittent Wipers Rear Parking Aid Back-Up Camera Brake Assist Adaptive Cruise Control Rain Sensing Wipers BILLET SILVER METALLIC CLEARCOAT TIRE & WHEEL GROUP Tires - Front All-Season Aluminum Wheels Tires - Rear All-Season *Note - For third party subscriptions or services, please contact the dealer for more information. * You can finally stop searching... You've found the one you've been looking for. The 2019 Chrysler exterior is finished in a breathtaking Psc, while being complemented by such a gorgeous H7XP interior. This color combination is stunning and absolutely beautiful! The look is unmistakably Chrysler, the smooth contours and cutting-edge technology of this Chrysler Pacifica Touring Plus will definitely turn heads. This Vehicle Does Not Include Tax,Title, And $699 Doc Fee. Contact Landers McLarty Huntsville Chrysler today for information on dozens of vehicles like this 2019 Chrysler Pacifica Touring Plus. This Chrysler includes: RADIO: UCONNECT 4C NAV HD Radio Navigation System AM/FM Stereo Satellite Radio Telematics Auxiliary Audio Input MP3 Player TRANSMISSION: 9-SPEED 948TE AUTOMATIC (STD) A/T 9-Speed A/T BRIGHT WHITE CLEARCOAT COLD WEATHER GROUP Heated Steering Wheel Leather Steering Wheel Heated Front Seat(s) ENGINE: 3.6L V6 24V VVT UPG V6 Cylinder Engine Gasoline Fuel INFLATABLE SPARE TIRE KIT Temporary Spare Tire QUICK ORDER PACKAGE 27W ADVANCED SAFETYTEC GROUP Variable Speed Intermittent Wipers Lane Departure Warning Automatic Parking Lane Keeping Assist Intermittent Wipers Rear Parking Aid Back-Up Camera Brake Assist Adaptive Cruise Control Rain Sensing Wipers TIRE & WHEEL GROUP Tires - Front All-Season Aluminum Wheels Tires - Rear All-Season *Note - For third party subscriptions or services, please contact the dealer for more information. * There is no reason why you shouldn't buy this Chrysler Pacifica Touring Plus. It is incomparable for the price and quality. This is the one. Just what you've been looking for. Beautiful color combination with Pw7 exterior over H7XP interior making this the one to own! This Vehicle Does Not Include Tax,Title, And $699 Doc Fee. This 2019 Chrysler Pacifica Touring Plus is proudly offered by Landers McLarty Huntsville Chrysler This Chrysler includes: RADIO: UCONNECT 4C NAV HD Radio Navigation System AM/FM Stereo Satellite Radio Telematics Auxiliary Audio Input MP3 Player TRANSMISSION: 9-SPEED 948TE AUTOMATIC (STD) A/T 9-Speed A/T COLD WEATHER GROUP Heated Steering Wheel Leather Steering Wheel Heated Front Seat(s) ENGINE: 3.6L V6 24V VVT UPG V6 Cylinder Engine Gasoline Fuel INFLATABLE SPARE TIRE KIT Temporary Spare Tire QUICK ORDER PACKAGE 27W ADVANCED SAFETYTEC GROUP Variable Speed Intermittent Wipers Lane Departure Warning Automatic Parking Lane Keeping Assist Intermittent Wipers Rear Parking Aid Back-Up Camera Brake Assist Adaptive Cruise Control Rain Sensing Wipers VELVET RED PEARLCOAT TIRE & WHEEL GROUP Tires - Front All-Season Aluminum Wheels Tires - Rear All-Season *Note - For third party subscriptions or services, please contact the dealer for more information. * You could keep looking, but why? You've found the perfect vehicle right here. Beautiful color combination with Prv exterior over H7XP interior making this the one to own! There is no reason why you shouldn't buy this Chrysler Pacifica Touring Plus. It is incomparable for the price and quality. This Vehicle Does Not Include Tax,Title, And $699 Doc Fee. This outstanding example of a 2019 Chrysler Pacifica Touring Plus is offered by Landers McLarty Huntsville Chrysler. This Chrysler includes: RADIO: UCONNECT 4C NAV HD Radio Navigation System AM/FM Stereo Satellite Radio Telematics Auxiliary Audio Input MP3 Player TRANSMISSION: 9-SPEED 948TE AUTOMATIC (STD) A/T 9-Speed A/T COLD WEATHER GROUP Heated Steering Wheel Leather Steering Wheel Heated Front Seat(s) ENGINE: 3.6L V6 24V VVT UPG V6 Cylinder Engine Gasoline Fuel INFLATABLE SPARE TIRE KIT Temporary Spare Tire QUICK ORDER PACKAGE 27W ADVANCED SAFETYTEC GROUP Variable Speed Intermittent Wipers Lane Departure Warning Automatic Parking Lane Keeping Assist Intermittent Wipers Rear Parking Aid Back-Up Camera Brake Assist Adaptive Cruise Control Rain Sensing Wipers VELVET RED PEARLCOAT TIRE & WHEEL GROUP Tires - Front All-Season Aluminum Wheels Tires - Rear All-Season *Note - For third party subscriptions or services, please contact the dealer for more information. * This is about the time when you're saying it is too good to be true, and let us be the one's to tell you, it is absolutely true. The Chrysler Pacifica Touring Plus will provide you with everything you have always wanted in a car -- Quality, Reliability, and Character. Beautiful color combination with Prv exterior over H7XP interior making this the one to own! This Vehicle Does Not Include Tax,Title, And $699 Doc Fee. Contact Landers McLarty Huntsville Chrysler today for information on dozens of vehicles like this 2019 Chrysler Pacifica Touring Plus. This Chrysler includes: RADIO: UCONNECT 4C NAV HD Radio Navigation System AM/FM Stereo Satellite Radio Telematics Auxiliary Audio Input MP3 Player TRANSMISSION: 9-SPEED 948TE AUTOMATIC (STD) A/T 9-Speed A/T BRIGHT WHITE CLEARCOAT COLD WEATHER GROUP Heated Steering Wheel Leather Steering Wheel Heated Front Seat(s) ENGINE: 3.6L V6 24V VVT UPG V6 Cylinder Engine Gasoline Fuel INFLATABLE SPARE TIRE KIT Temporary Spare Tire QUICK ORDER PACKAGE 27W ADVANCED SAFETYTEC GROUP Variable Speed Intermittent Wipers Lane Departure Warning Automatic Parking Lane Keeping Assist Intermittent Wipers Rear Parking Aid Back-Up Camera Brake Assist Adaptive Cruise Control Rain Sensing Wipers TIRE & WHEEL GROUP Tires - Front All-Season Aluminum Wheels Tires - Rear All-Season *Note - For third party subscriptions or services, please contact the dealer for more information. * You can finally stop searching... You've found the one you've been looking for. The Chrysler Pacifica Touring Plus will provide you with everything you have always wanted in a car -- Quality, Reliability, and Character. There is no reason why you shouldn't buy this Chrysler Pacifica Touring Plus. It is incomparable for the price and quality. This Vehicle Does Not Include Tax,Title, And $699 Doc Fee. This 2019 Chrysler Pacifica Touring L is offered to you for sale by Landers McLarty Huntsville Chrysler. This Chrysler includes: BRIGHT WHITE CLEARCOAT ENGINE: 3.6L V6 24V VVT UPG V6 Cylinder Engine Gasoline Fuel TRANSMISSION: 9-SPEED 948TE AUTOMATIC (STD) A/T 9-Speed A/T INFLATABLE SPARE TIRE KIT Temporary Spare Tire RADIO: UCONNECT 4C NAV HD Radio Navigation System AM/FM Stereo Satellite Radio Telematics Auxiliary Audio Input MP3 Player ADVANCED SAFETYTEC GROUP Variable Speed Intermittent Wipers Lane Departure Warning Automatic Parking Lane Keeping Assist Intermittent Wipers Rear Parking Aid Back-Up Camera Brake Assist Adaptive Cruise Control Rain Sensing Wipers S APPEARANCE PACKAGE Tires - Front All-Season Aluminum Wheels Luggage Rack Tires - Rear All-Season QUICK ORDER PACKAGE 27L PREMIUM AUDIO GROUP HD Radio Power Passenger Seat AM/FM Stereo Satellite Radio Passenger Adjustable Lumbar Premium Sound System Auxiliary Audio Input MP3 Player SINGLE REAR OVERHEAD DVD SYSTEM CD Player Auxiliary Audio Input Entertainment System MP3 Player *Note - For third party subscriptions or services, please contact the dealer for more information. * Want a mobile theater? This Chrysler Pacifica has a premium entertainment package that will keep your passengers entertained with superb enjoyment. Marked by excellent quality and features with unmistakable refined leather interior that added value and class to the Chrysler Pacifica Where do you need to go today? Just punch it into the Chrysler Pacifica on-board navigation system and hit the road. This Vehicle Does Not Include Tax,Title, And $699 Doc Fee. This 2019 Chrysler 300 Touring L is proudly offered by Landers McLarty Huntsville Chrysler This Chrysler includes: ENGINE: 3.6L V6 24V VVT (STD) V6 Cylinder Engine Gasoline Fuel DRIVER CONVENIENCE GROUP Fog Lamps Remote Engine Start Navigation System Universal Garage Door Opener Auxiliary Audio Input MP3 Player TRANSMISSION: 8-SPEED AUTOMATIC 850RE (STD) 8-Speed A/T Transmission w/Dual Shift Mode A/T QUICK ORDER PACKAGE 22F Temporary Spare Tire Security System Power Passenger Seat Power Driver Seat Heated Front Seat(s) Passenger Adjustable Lumbar Leather Seats Driver Adjustable Lumbar GLOSS BLACK *Note - For third party subscriptions or services, please contact the dealer for more information. * The Chrysler 300 Touring L will provide you with everything you have always wanted in a car -- Quality, Reliability, and Character. You can finally stop searching... You've found the one you've been looking for. There is no reason why you shouldn't buy this Chrysler 300 Touring L. It is incomparable for the price and quality. This Vehicle Does Not Include Tax,Title, And $699 Doc Fee. This outstanding example of a 2019 Chrysler 300 Touring L is offered by Landers McLarty Huntsville Chrysler. This Chrysler includes: ENGINE: 3.6L V6 24V VVT (STD) V6 Cylinder Engine Gasoline Fuel DRIVER CONVENIENCE GROUP Fog Lamps Remote Engine Start Navigation System Universal Garage Door Opener Auxiliary Audio Input MP3 Player TRANSMISSION: 8-SPEED AUTOMATIC 850RE (STD) 8-Speed A/T Transmission w/Dual Shift Mode A/T QUICK ORDER PACKAGE 22F Temporary Spare Tire Security System Power Passenger Seat Power Driver Seat Heated Front Seat(s) Passenger Adjustable Lumbar Leather Seats Driver Adjustable Lumbar VELVET RED PEARLCOAT *Note - For third party subscriptions or services, please contact the dealer for more information. * Based on the superb condition of this vehicle, along with the options and color, this Chrysler 300 Touring L is sure to sell fast. You can finally stop searching... You've found the one you've been looking for. Just what you've been looking for. With quality in mind, this vehicle is the perfect addition to take home. This Vehicle Does Not Include Tax,Title, And $699 Doc Fee. This outstanding example of a 2019 Chrysler 300 Touring L is offered by Landers McLarty Huntsville Chrysler. This Chrysler includes: ENGINE: 3.6L V6 24V VVT (STD) V6 Cylinder Engine Gasoline Fuel VALUE PACKAGE Fog Lamps Remote Engine Start Navigation System Universal Garage Door Opener Generic Sun/Moonroof Sun/Moonroof Auxiliary Audio Input MP3 Player Dual Moonroof TRANSMISSION: 8-SPEED AUTOMATIC 850RE (STD) 8-Speed A/T Transmission w/Dual Shift Mode A/T QUICK ORDER PACKAGE 22F Temporary Spare Tire Security System Power Passenger Seat Power Driver Seat Heated Front Seat(s) Passenger Adjustable Lumbar Leather Seats Driver Adjustable Lumbar WHEELS: 20 Temporary Spare Tire Tires - Front Performance Aluminum Wheels Tires - Rear Performance VELVET RED PEARLCOAT *Note - For third party subscriptions or services, please contact the dealer for more information. * Beautiful color combination with Prv exterior over A6X2 interior making this the one to own! The look is unmistakably Chrysler, the smooth contours and cutting-edge technology of this Chrysler 300 Touring L will definitely turn heads. The 2019 Chrysler exterior is finished in a breathtaking Prv, while being complemented by such a gorgeous A6X2 interior. This color combination is stunning and absolutely beautiful! This Vehicle Does Not Include Tax,Title, And $699 Doc Fee. This outstanding example of a 2019 Chrysler Pacifica Touring L Plus is offered by Landers McLarty Huntsville Chrysler. This Chrysler includes: ADVANCED SAFETYTEC GROUP Variable Speed Intermittent Wipers Lane Departure Warning Automatic Parking Lane Keeping Assist Intermittent Wipers Rear Parking Aid Back-Up Camera Brake Assist Adaptive Cruise Control Rain Sensing Wipers WHEELS: 20 Wheel Locks Tires - Front Performance Aluminum Wheels Tires - Rear Performance BRILLIANT BLACK CRYSTAL PEARLCOAT 20 SPEAKER HARMAN/KARDON SOUND GROUP Premium Sound System QUICK ORDER PACKAGE 27J HANDS FREE SLIDING DOOR Hands-Free Liftgate Power Liftgate Remote Trunk Release S APPEARANCE PACKAGE Tires - Front All-Season Aluminum Wheels Luggage Rack Tires - Rear All-Season TRANSMISSION: 9-SPEED 948TE AUTOMATIC (STD) A/T 9-Speed A/T ENGINE: 3.6L V6 24V VVT UPG V6 Cylinder Engine Gasoline Fuel *Note - For third party subscriptions or services, please contact the dealer for more information. * This vehicle won't last long, take it home today. Beautiful color combination with Pxr exterior over FLX3 interior making this the one to own! There is no reason why you shouldn't buy this Chrysler Pacifica Touring L Plus. It is incomparable for the price and quality. This Vehicle Does Not Include Tax,Title, And $699 Doc Fee. Contact Landers McLarty Huntsville Chrysler today for information on dozens of vehicles like this 2019 Chrysler Pacifica Hybrid Touring Plus. This Chrysler includes: SINGLE REAR OVERHEAD DVD SYSTEM CD Player Auxiliary Audio Input Entertainment System MP3 Player QUICK ORDER PACKAGE 2EA RADIO: UCONNECT 4C NAV Navigation System Telematics Auxiliary Audio Input MP3 Player TRANSMISSION: EFLITE SI-EVT (STD) 1-Speed A/T A/T ENGINE: 3.6L V6 HYBRID (STD) V6 Cylinder Engine Plug-In Electric/Gas POWER LIFTGATE Power Liftgate Remote Trunk Release S APPEARANCE PACKAGE Tires - Front All-Season Aluminum Wheels Luggage Rack Leather Steering Wheel Tires - Rear All-Season BRILLIANT BLACK CRYSTAL PEARLCOAT *Note - For third party subscriptions or services, please contact the dealer for more information. * The Chrysler Pacifica Hybrid Touring Plus will provide you with everything you have always wanted in a car -- Quality, Reliability, and Character. This is about the time when you're saying it is too good to be true, and let us be the one's to tell you, it is absolutely true. Beautiful color combination with Pxr exterior over F7X3 interior making this the one to own! This Vehicle Does Not Include Tax,Title, And $699 Doc Fee. You can find this 2019 Chrysler 300 Limited and many others like it at Landers McLarty Huntsville Chrysler. This Chrysler includes: LIGHT GROUP HID headlights Headlights-Auto-Leveling HARMAN/KARDON AUDIO GROUP Premium Sound System SAFETYTEC PLUS GROUP Variable Speed Intermittent Wipers Integrated Turn Signal Mirrors Lane Departure Warning Power Mirror(s) Lane Keeping Assist Intermittent Wipers Rear Parking Aid Brake Assist Adaptive Cruise Control Blind Spot Monitor Cross-Traffic Alert Rain Sensing Wipers DUAL-PANE PANORAMIC SUNROOF Generic Sun/Moonroof Sun/Moonroof Dual Moonroof TRANSMISSION: 8-SPEED AUTOMATIC 850RE (STD) 8-Speed A/T Transmission w/Dual Shift Mode A/T ENGINE: 3.6L V6 24V VVT (STD) V6 Cylinder Engine Gasoline Fuel GLOSS BLACK QUICK ORDER PACKAGE 22T RADIO: UCONNECT 4C NAV Navigation System Auxiliary Audio Input MP3 Player *Note - For third party subscriptions or services, please contact the dealer for more information. * You can finally stop searching... You've found the one you've been looking for. Just what you've been looking for. With quality in mind, this vehicle is the perfect addition to take home. You could keep looking, but why? You've found the perfect vehicle right here. This Vehicle Does Not Include Tax,Title, And $699 Doc Fee. Landers McLarty Huntsville Chrysler is excited to offer this 2019 Chrysler 300. This Chrysler includes: LIGHT GROUP HID headlights Headlights-Auto-Leveling HARMAN/KARDON AUDIO GROUP Premium Sound System SAFETYTEC PLUS GROUP Variable Speed Intermittent Wipers Integrated Turn Signal Mirrors Lane Departure Warning Power Mirror(s) Lane Keeping Assist Intermittent Wipers Rear Parking Aid Brake Assist Adaptive Cruise Control Blind Spot Monitor Cross-Traffic Alert Rain Sensing Wipers DUAL-PANE PANORAMIC SUNROOF Generic Sun/Moonroof Sun/Moonroof Dual Moonroof TRANSMISSION: 8-SPEED AUTOMATIC 850RE (STD) 8-Speed A/T Transmission w/Dual Shift Mode A/T ENGINE: 3.6L V6 24V VVT (STD) V6 Cylinder Engine Gasoline Fuel QUICK ORDER PACKAGE 22T RADIO: UCONNECT 4C NAV Navigation System Auxiliary Audio Input MP3 Player BRIGHT WHITE CLEARCOAT *Note - For third party subscriptions or services, please contact the dealer for more information. * This is about the time when you're saying it is too good to be true, and let us be the one's to tell you, it is absolutely true. This is the one. Just what you've been looking for. Beautiful color combination with Pw7 exterior over ALX8 interior making this the one to own! This Vehicle Does Not Include Tax,Title, And $699 Doc Fee.